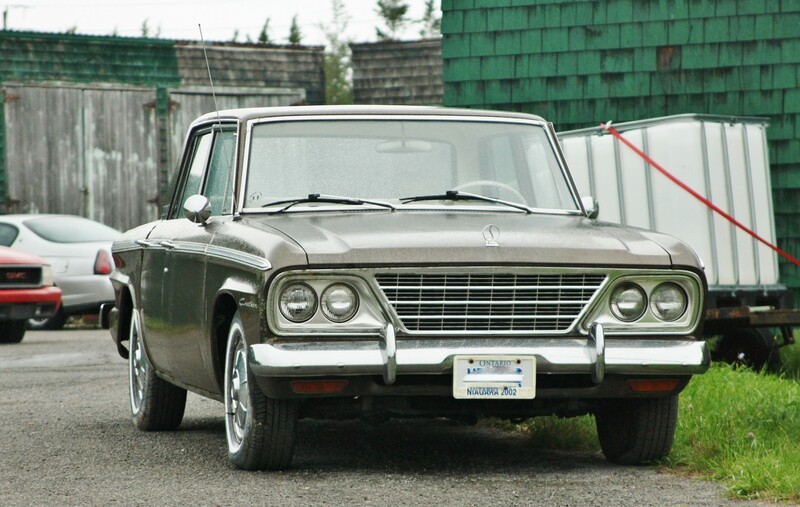 1964-65 Studebaker Commander (Lark), spotted inside the former RCAF Picton air base in Ontario. There’s something about a late-model Studebaker Lark that commands respect. From its homely beginnings in 1959, when it was introduced as Studebaker’s new compact car, the Lark eventually blossomed into a competent, competitive sedan with a distinctive style. By shedding its initially bulbous sheet metal, the Lark went from frumpy to foxy over the course of its life – one that ended when the Studebaker Corporation bit the dust in 1966. In the early 60s, the compact class was a new breed in America, and a competitive one. Each major automaker tackled the new challenge in a different way, aiming for the biggest market slice but also appealing to different demographics. Ford’s Falcon was bland as a wool cardigan (but sold well), while Mercury’s Comet stood apart with (purposefully) upscale, Lincoln-esque styling cues. The Dodge Dart/Plymouth Valiant twins emerged in the compact field with awkward looks in 1962, but soon evolved into a vehicle with safer styling and a reputation for performance. The basic Chevy II Nova of the period went so far as to offer a base 4-cylinder for economy, but later turned its focus to sporty models to battle Chrysler for youth-oriented sales. In contrast, the Lark offered a combination of appealing traits – understated style, roominess, power, and economy but nothing too radical. The Lark was conceived at a time when Studebaker desperately needed a sales hit, as it was bleeding cash from its ill-fated merger with Packard. With little to work with, Studebaker created its new compact by essentially ‘compressing’ an existing full-size bodyshell, resulting in a still-roomy vehicle of shorter length. Stodgy on the outside but spacious on the inside, the Lark tempted drivers into its un-flashy confines by offering a available, class-exclusive 289-cid V8 sourced from the Hawk. A short recession in the United States in 1958 spurred interest in downsized vehicles, and the early Lark sold in respectable numbers. However, when Studebaker found itself facing a full broadside of new compacts from the Big Three in 1960-61, another design miracle needed to be pulled off for next-to-no money. An industrial designer named Brooks Stevens was brought in to work design (and financial) magic on the Lark, a task he pulled of admirably. 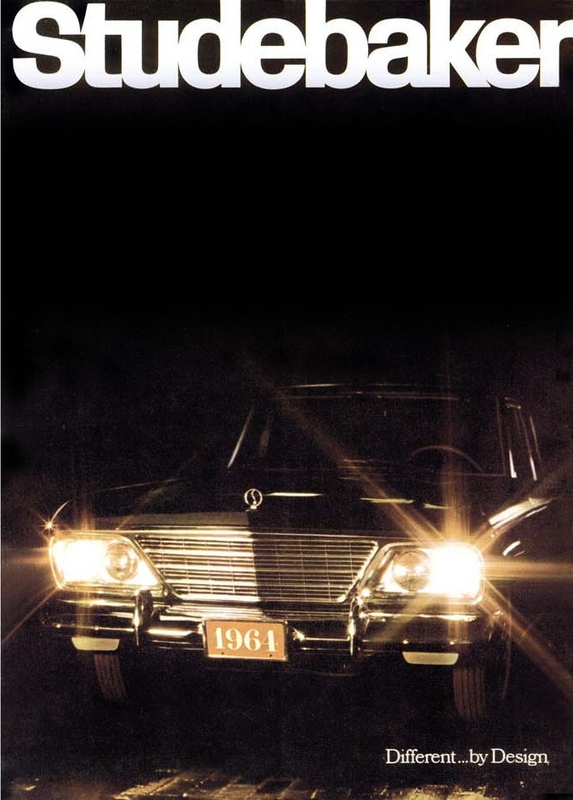 A longer body combined with creased, upright styling, a grille that emulated a Mercedes-Benz, and new trim options made the ’62 Lark a credible option. Further refinements in design were made to keep the model fresh, and in 1964 what was to become the last Lark model started rolling off assembly lines – though not for long. The third model (1964-66) kept the crisp, upright body style but moved towards a more integrated, American-looking front end. Alas, the end was nigh for the Lark and Studebaker as a whole. Struggling to keep its automotive division afloat amid stagnant sales, Studebaker’s top brass decided to wind down vehicle sales in in a bid to leave the market altogether. Different… and soon to be dead. America kissed the Studebaker goodbye in 1964; Canada, in 1966. 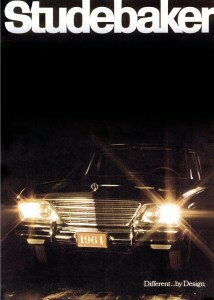 The automaker’s South Bend, Indiana plant ceased operations in December, 1963, with production moving to Studebaker’s smaller Hamilton, Ontario plant. At this point, the Lark name was replaced by the Commander. After producing a 1965 model that was a carbon-copy of the ’64, a refreshed ’66 Studebaker was produced in small numbers until the Hamilton plant closed in March, 1966. Even as the automotive division was drawing its last breaths, dedicated staff at Studebaker Canada were busy planning how they could bring the company – and the car – into the 1970s. That Studebaker managed to soldier on so long after its near-bankruptcy in the mid-1950s is a testament to the company’s determination. This entry was posted in Spotted in the wild and tagged Studebaker, Studebaker Lark on June 4, 2014 by Steph Willems.